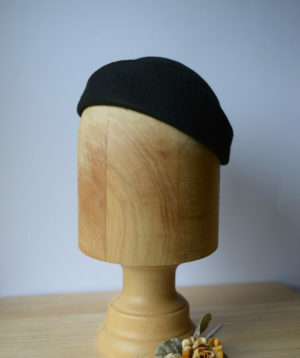 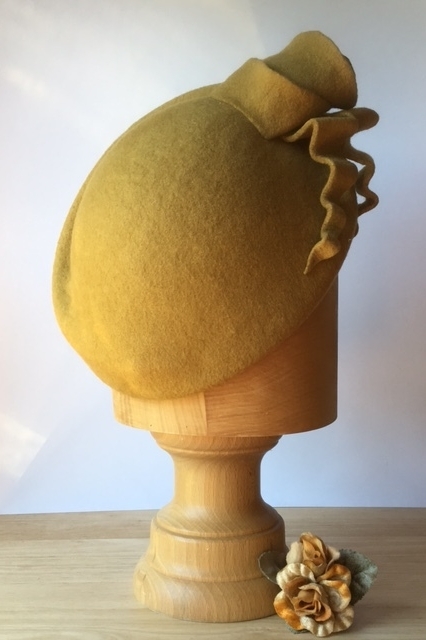 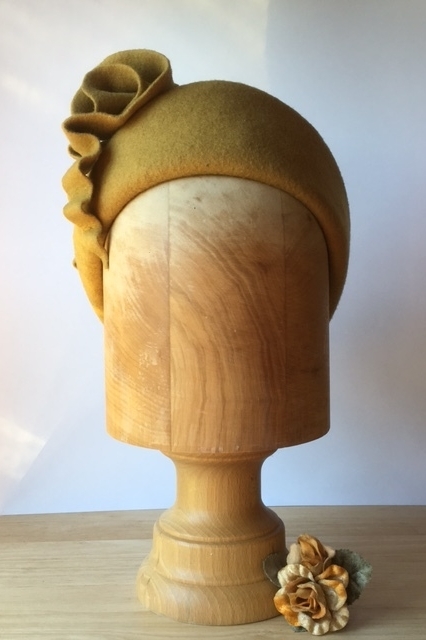 Lovely mustard coloured hand blocked felt beret style hat. 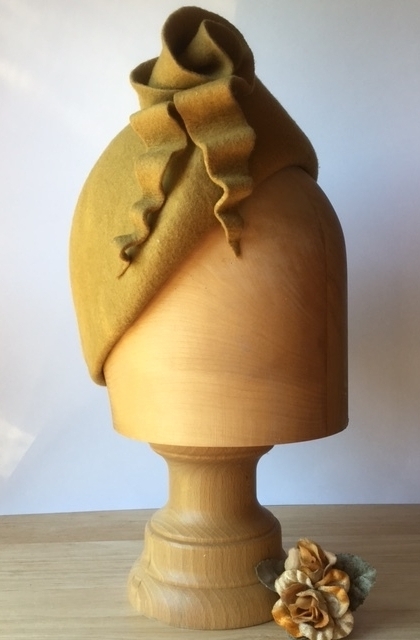 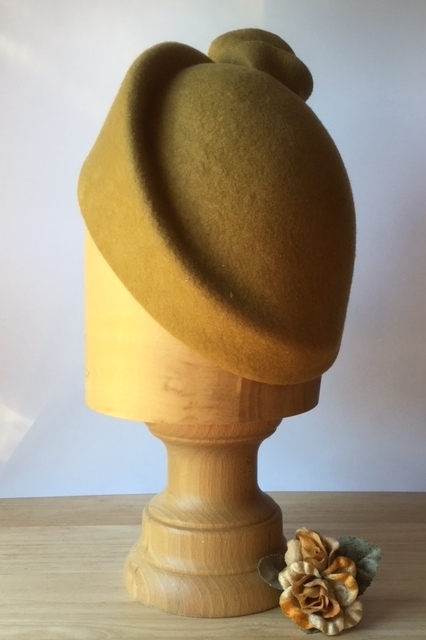 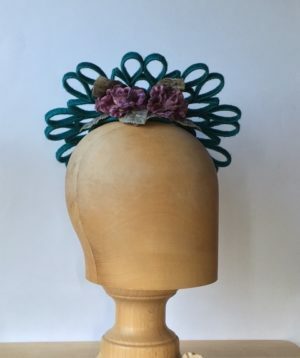 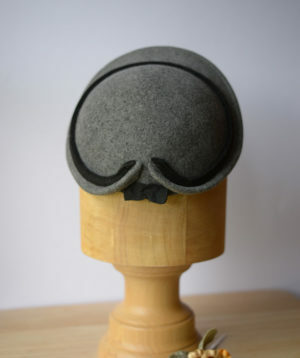 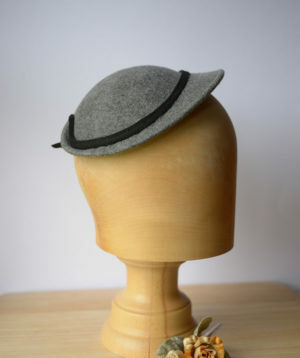 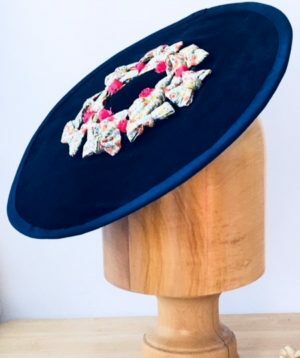 This hat is designed to be worn near to the back of the head and is finished with a stiffened felt motif in the same colour fabric. 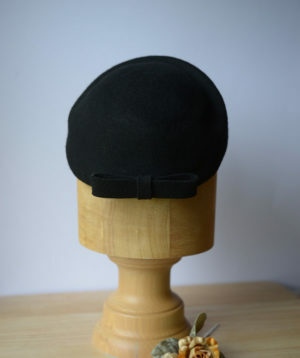 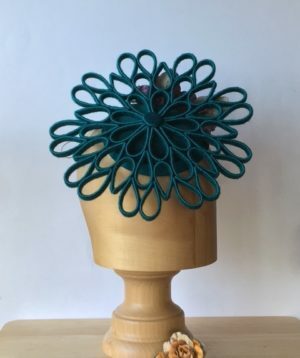 This hat doesn’t need a attachments for securing to the head as the shape and design doesn’t require it. 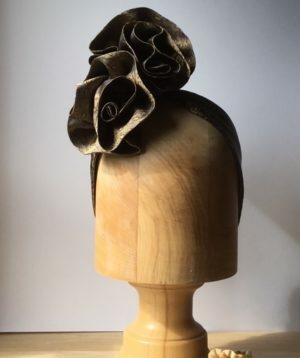 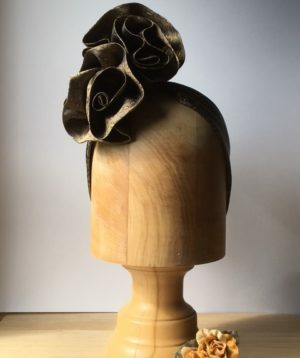 It is has no lining but does have a sweat band in brown petersham ribbon.